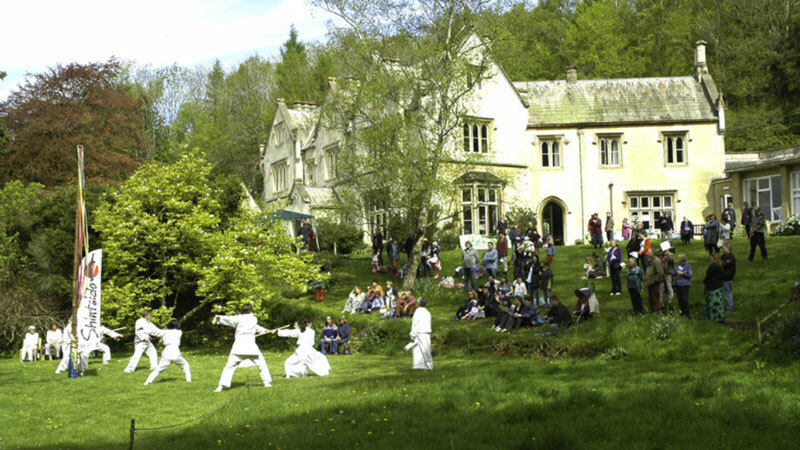 Every year on the May Bank Holiday, Hawkwood College in Stroud holds Open Day, which is a family friendly event with lots of free workshops, maypole dancing, music and storytelling, etc. The college is set on top of the Cotswolds hills, overlooking the River Severn in the distance. It is an adult education centre offering courses and events across four key areas; Nature & Sustainability, Health & Wellbeing, Spirituality and the Arts. I have attended the Open Day several times in the past. This year, the members from Lightwave Shintaido and Gentle Shintaido groups with much appreciated support from Pam and Minagawa sensei performed a Shintaido demonstration in the beautiful garden area next to the natural spring on a bright fresh morning. We gathered early and introduced each other as this was the first time for the 2 different classes to meet. After the final run through, with Minagawa sensei’s final words “Let’s enjoy!”, we all shouted “Yes!”, – a good “kiai” to get us ready for the demonstration! The demonstration was well attended and with some encouragement, 15 people joined the taster session afterwards. It was a good learning experience for all of us and lifted our spirits high to step forward on our Shintaido journey. 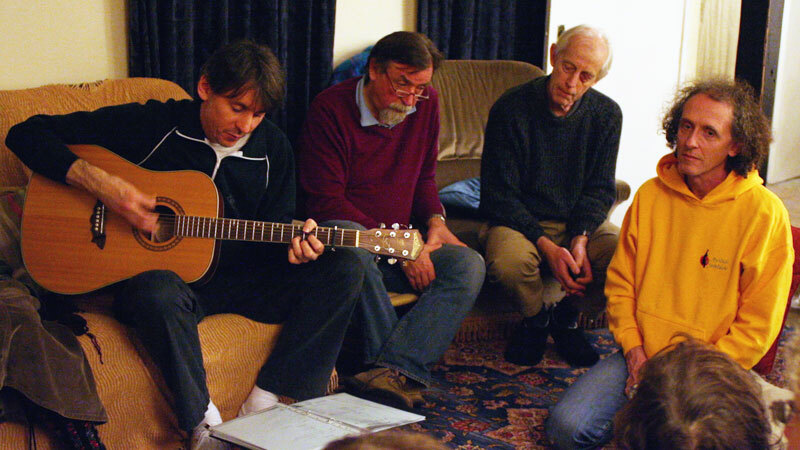 We have been invited back for “Seed Festival – Planting Big Ideas” held at Hawkwood on Sunday 19th July, 2015. All welcome to join!